Rheumatoid arthritis, Lupus (SLE), Psoriasis, Crohn’s disease, Ulcerative colitis and Hashimoto’s thyroiditis are just a few of the 80 types of autoimmune diseases that affect the Australian population. When we talk about an “autoimmune disease,” it means you have a condition related to an over-reactive immune system. In other words, your immune function is out of balance and attacking your own body tissues resulting in pain, swelling and many other symptoms depending on which areas of the body are affected. In this article, I’ll share with you some facts about your immune system, why it may attack your body and five tips to calm this system down when it’s over-reacting. First, let’s discuss its importance to your health. What’s the significant role of the immune system to your health? The immune system protects you from microbes (i.e. bacteria, fungi, virus, protozoa) that cause infection, and potentially harmful substances such as toxins and allergens. You may actually consider your immune system as your internal army protecting their headquarters (your body) from invaders and enemies. Anything that is not a natural part of the body is regarded as a foreign material or a harmful invader and will be attacked by your immune system as a protective mechanism. In particular, the T-cells, which are the primary infection-fighting cells of the body, do this job for you. Moreover, the T regulatory cells must control the quantity and type of T-cells released in your body. This mechanism ensures that your immune system maintains balance and does not go berserk. However, not everybody has a perfectly functioning immune system. Many individuals struggle with having a weak disease resistance while others have an immune system that is overly reacting to the point of attacking your own healthy cells. A comparison between a healthy immune function (top) and immune imbalance due to autoimmune disease (bottom). A healthy immune system protects the body by attacking harmful microbes and toxins. Meanwhile, immune imbalance in autoimmune disease triggers the immune system to attack your healthy body tissues. 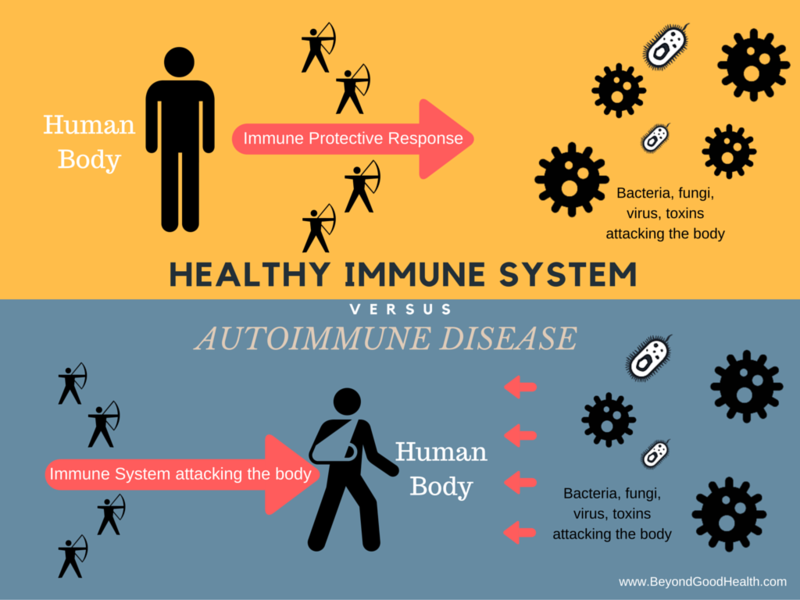 Why does the immune system attack your body? The exact cause of autoimmune disease (the body attacking itself through immune response) is unknown to the medical community at this time. However, medical experts identified contributing factors that trigger the immune system to attack your healthy cells, which include infections, inflammatory diet (a diet that causes inflammatory response), environmental toxins, hidden allergens, heavy metal toxicity, stress and some medications. What happens is that these factors are affecting your T regulatory cells. They cause a malfunction or a decrease in the amount of T regulatory cells resulting in an immune imbalance. At this point, your immune system gets out of control. It becomes confused and incapable of distinguishing between a healthy cell and a foreign material. So it’s like your healthy cells are caught in a friendly crossfire. In other words, something is going on inside your body. An invader is detected but your immune system can’t figure out which one. It’s trying to fight back against an allergen, infection, a toxin or a stressor but it’s getting the wrong target. It’s attacking your brain, joints, gut, thyroid, skin or your whole body instead of eradicating the invaders. Now, how can you restore immune balance? How can you calm your immune system down? The first thing that you should do is taking good care of the good bacteria in your gut. Eat probiotics and prebiotics to restore the balance of your gut microbes that help regulate your immune response. Imbalance in gut bacteria is common among people with autoimmune disease. Unhealthy diet, some medications and stress were pointed out as the culprits. It is critical to keep your good bacteria in the gut healthy because your immune system is primarily housed in the gut. A healthy gut means a well-regulated immune system. When your gut is in trouble, your immune system will either become weak or over-reactive. One of the best ways to restore the balance of your gut microbes that help regulate your immune response is by adding probiotics to your diet, specifically Lactobacillus rhamnosus GG (LGG) and Lactobacillus paracasei (LP-33). These probiotic strains support the growth of other good bacteria and improve the number of T regulatory cells that keep your immune system in balance. Check the label of the food sources that you buy to see if it specifies that Lactobacillus strains are present. 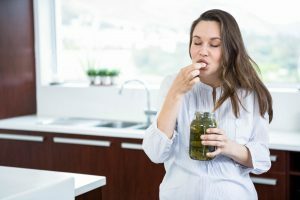 Kefir, pickles, yogurt, kimchi, wine, soy sauce and Miso are just some of the probiotic sources you might want to include in your list. On the other hand, you may also boost the health of the Lactobacillus strains that are already in your gut with the help of prebiotics, foods that nourish your good bacteria. Bananas, berries, flax, garlic, honey, leeks, artichokes, yams, jicama and beans are just few of the prebiotic food sources. Another thing that can help regulate your immune system is sufficient vitamin D. So don’t forget to have some time walking under the sun. The sunlight aids in vitamin D production, a vitamin that regulates and restores immune balance. Vitamin D is considered a basic need in regulating and restoring the immune system balance. It is required to produce healthy T regulatory cells. But how do you get sufficient vitamin D? Your skin produces the precursor of vitamin D. However, you need the sunlight to convert this precursor into vitamin D3, which is an inactive form. Then, your liver and kidneys activate vitamin D3 into vitamin D, which is the functional state of this vitamin. So, yes, the sunlight plays a primary role in initiating the process of vitamin D production. 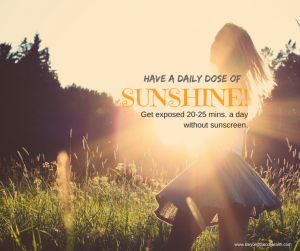 A 20-25 minute daily exposure to sunlight without sunscreen is helpful. But do this before 10AM. Otherwise, the optimal time for sun exposure to produce vitamin D is between 10AM- 2PM but only for shortest exposure time- just enough to turn your skin into the lightest shade of pink. Keep in mind that excessive sun exposure can also damage your skin. Some of the health problems associated with too much sun exposure are sunburn, premature skin aging and even skin cancer. Moreover, omega-3 essential fatty acids are another means to restore immune balance. Omega-3 fatty acids have anti-inflammatory effect. They downregulate the production of pro-inflammatory chemical called cytokine and suppress the hyper-active T cells. In most autoimmune diseases, inflammation of certain body tissues (i.e. joints, gut, muscles) is a common characteristic. Many health experts recommend the use of fish oil due to its omega-3 fatty acid content. In a study conducted by Kaplan Medical Center, Israel, the findings revealed that a specific omega 3 (n-3) fatty acid in fish oil has an anti-inflammatory effect. It can downregulate the production of cytokine, a pro-inflammatory chemical and it suppresses the hyper-reactive T cells. Remember, the T cells are components of your immune system that protects you against microbes and harmful chemicals, but these are the same cells that confoundedly attack your own healthy cells when you have an autoimmune disease. The primary goal is to restore the balance in your immune system. Thus, the activities of the T cells and the function of T regulating cells must be controlled to reduce inflammation and other symptoms. 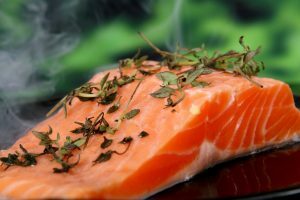 The top sources of omega-3 fatty acids include Halibut, Herring, Mackerel, Oysters, Salmon, sardines, anchovies, Trout, tuna, egg yolks, margarine, soy milk, yogurt, chia seeds, hemp seeds, kale, Brussels sprouts, mint, parsley, spinach, watercress, canola oil, cod liver oil, flaxseed oil, soybean oil, and walnut oil. Also, don’t miss being checked for heavy metal toxicity. #4 Get checked for heavy metal toxicity. Rubber toys are listed as common source of toxic metals that are often associated with many autoimmune diseases. Heavy metal toxicity means the amount of toxic metals inside your body has reached a toxic level. Heavy metals like mercury, cadmium and lead are everywhere and they’ve been associated with many health issues including autoimmune disease. These heavy metals can damage multiple organs including your brain and immune system. What’s more alarming is your environment could have been populated with a lot of toxic metals; hence, you are regularly exposed. The common sources of toxic metals may include silver and amalgam dental fillings, paints, insecticides, pesticides, some cosmetics, batteries, electrical devices, gasoline, rubber toys, copper pipes, canned foods, hair dyes, tobacco smoke, vinyl, cosmetics, fertilizers, ceramics, batteries, refined and processed foods (i.e. cola drinks, instant coffee), PVC pipes, air pollution, mining, incinerators, power plants, smelting plants, and welding fumes. Some fish, grains and drinking tap water can be contaminated with toxic metals too, depending on the source. So, how would you know if you have heavy metal toxicity? You may try any of the two diagnostic tests: oligoscan and hair tissue mineral analysis. 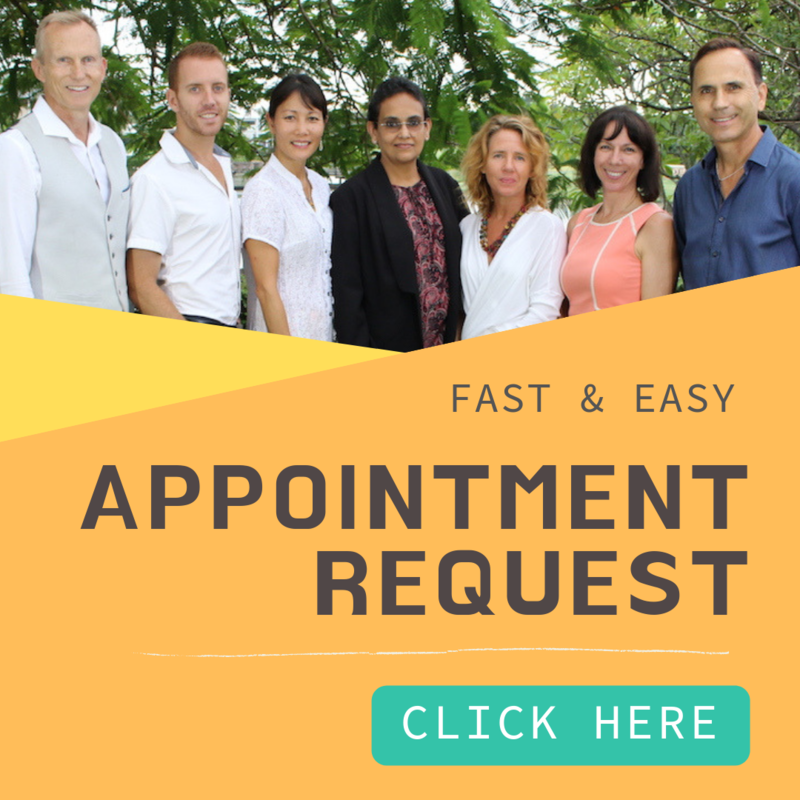 Both tests are non-invasive and are used to analyze the body’s current mineral status, trace elements and heavy metals level using your hair or tissue sample. Last but not the least is finding some stress reduction techniques. Walking barefoot in a natural environment is called grounding. It’s an effective relaxation technique. Stress is a daily part of our lives, but it doesn’t mean you just have to accept it and do nothing about it. Stress actually worsens your immune response. It makes your immune system feel that you are always in a life-threatening situation. So, your immune system has the tendency to be excessively alert and makes your body a war zone. It keeps attacking anything that gets in its way be it a foreign invader or your own body cells. So think of relaxing activities that fit you. Regular exercise is one of the best relaxation techniques that can help relieve stress and it has a natural anti-inflammatory effect. You may want to take a walk for at least 30 minutes a day. In addition, Yoga, Tai Qigong and deep breathing exercises have the same relaxing benefits just like any other mild exercise. Personally, I enjoy painting. Aside from the therapeutic shades and colors, painting helps me channel all my negative energies and emotions through artwork. Grounding is another relaxation technique I love. It’s simply walking barefoot on the ground, particularly in a natural environment. It’s like becoming one with nature when your feet feel the sand, the rocks, the grass – it feels amazing. Some people prefer massage therapy. Aside from reducing stress hormone levels, massage relieves muscle pain and tension too. 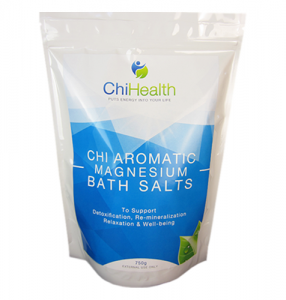 But since it’s winter, you may want to give a twist to your warm bath by adding 1 cup of CHI Aromatic Magnesium Bath Salts into the bathtub water. This bath salt contains Magnesium sulphate flakes, which are found in natural hot springs. 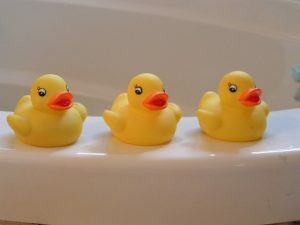 Magnesium sulphate flakes in a warm bath help in relaxing muscles, relieving stress, and reducing pains and soreness. It is also imprinted with CHI Vibrational energetic programs that aid in reducing inflammation and stress, as well as detoxify your body naturally. Aside from that, the CHI Aromatic Magnesium Bath Salts contain organic essential oils such Lavender, Cedarwood, Mandarin and Rose Geranium. The scent of these essential oils has a synergistic relaxing effect with Magnesium sulphate flakes and warm water. So just soak in the bathtub for 20-45 minutes to enjoy the health benefits of a warm bath with bath salts and essential oils. The overall concept is find something that makes you feel relaxed and it must be an activity that you enjoy doing.